Robertson Field buzzed with the excitement as Regent University students, alumni, fans and food vendors surrounded the fifteenth annual Chili Bowl Saturday, Nov. 3. The event kicked off with the all-star flag football game that any player can participate in regardless of their standing in the championship game. ISB hosted the event, calling the vendors and sponsoring the games. Following the all-star game, teams “Giborrim” and “Full Position” circled up for a prayer before competing in the Championship Game. First Edition, Regent University’s premier a capella group, sang the National Anthem prior to the coin-toss with Regent’s founder, chancellor and CEO, Dr. M.G. “Pat” Robertson. 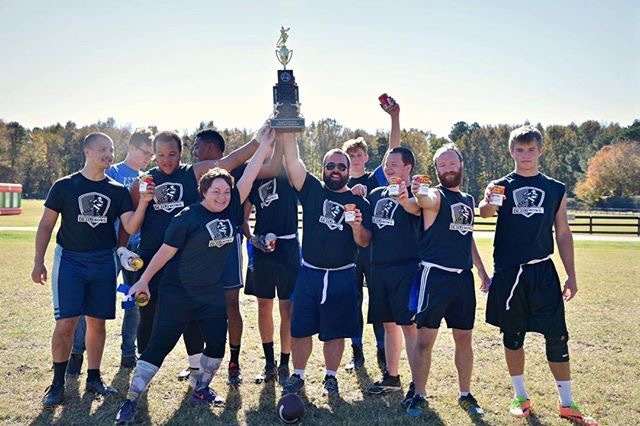 “Giborrim” won the Championship Game 33—24, making their fourth year at the Chili Bowl their best yet. In addition to food vendors and the football game, the event had a chili cook-off, a rock wall and five bounce houses for guests to enjoy.